Just a few steps from the Massachusetts State House in Boston sits Carrie Nation Cocktail Club, a Prohibition-themed restaurant, and speakeasy. 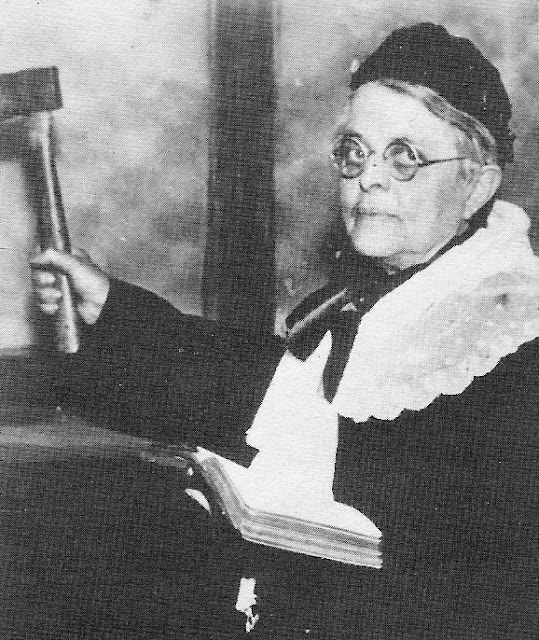 Carrie Nation was a real person, a dedicated member of the pre-prohibition temperance movement in the early 1900s. Her signature move was to attack drinking establishments with her hatchet in an attempt to stop people from drinking, so it's more than a bit ironic that this, or any, bar is named after her. While Carrie Nation wouldn't have liked this club, my friend and I certainly did. There is a large and beautiful dining room that serves sandwiches, entrees and there's even a chef's table, but the crown jewel is the speakeasy in the back of the restaurant. The room in the back is dark and features two pool tables and comfortable seating. You can pick a drink from the menu or you can let the bartender's interview you to make a drink especially suited to your tastes. The Carrie Nation Cocktail Club is located at 11 Beacon Street, Boston, MA. Passwords are not required. If you plan to eat dinner, you may chose to make a reservation through Open Table. The restaurant and bar are available for private events.